Freedom Foam Insulators offers safe and effective remediation solutions, and has partnered with other local businesses to ensure that we can help you create a safe and healthy environment. Spray foam insulation’s air-seal properties eliminate air infiltration, the cause of uncomfortable drafts. 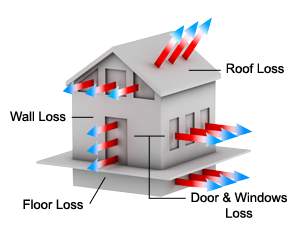 The result of insulating with products from DEMILEC (USA) is even levels of temperature and humidity, leading to a more comfortable setting. Do your floor stay cold in the winter? Are your heating and air bill too high? How much money can you save reducing energy loss? Notably good service experience Superb insulating and sound value.Contractor was knowledgeable, timely.Plan on having them back for our new building in the spring. Kevin Frisbie is the Michael Angelo of Insulation! He just made my crawl space look like the Sistine Chapel!! I can’t thank you enough!! For once, I’m looking forward to the winter!!!!!!!!!!!!! Thank you Kevin and team! The basement is drying up and looks great! We’re happily anticipating the difference the foam in the attic will make this summer as well as this coming winter. I can tell a difference in the house already! They just finished up yesterday!! The team was GREAT. I cannot wait to see the money I will be saving. There is no question I will have them come back and insulate my basement (once I put up the 2 x 4 studs in place). I went above my garage space after they finished and the temp. dropped by at least 20 degrees. I give them thumbs up and I am telling everyone how great the Freedom Foam Insulators Team are to work with and how great the product is working at my house. Kevin and his crew did an awesome job on my Morton building.Very professional and left the place cleaner than when they came.He also gave me tips on finishing the building. Thanks. Freedom Foam Insulators is Iowa's "Best Choice" contractor of spray foam insulation for your commercial building or your new or existing home. We only use quality spray foam products that are perfect for your attic, walls, garage. crawl space, and empty cavities. Spray foam is also ideal to insulate buildings, schools, warehouses and farm buildings. Freedom Foam Insulators uses the industry leading injection foam, closed cell foam and open cell foam product. We truly are Iowa Spray Foam insulation Experts!